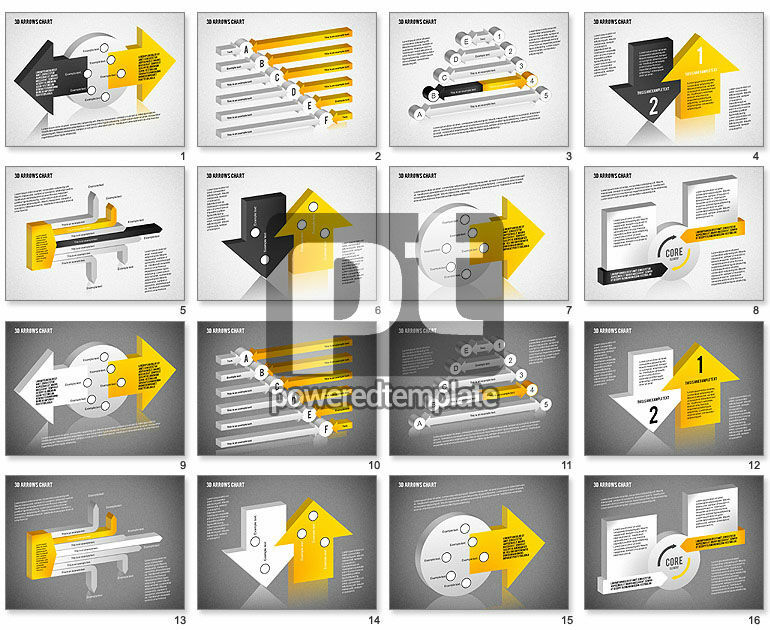 These presentation slides 45322 are complete compatible with Google Slides. Simple download PPTX and open the template in Google Slides. This glamorous 3D template will suit perfectly for your presentation dedicated to development, business plans and so forth. This cool sample has various subjects, multidirectional arrows, numbers and other items for your information. These bright items are situated on two kinds of the background. If you want to make your presentation gorgeous and unforgettable, this theme is exactly what you need.